Lauri Ylönen is the lead singer of the band The Rasmus. His full Name is LauriJohannes Markus Ylönen. He was born on 23. April 1979 in Helsinki. Lauri Ylönenlearn playing piano as he was 5 years old. Lauri has signed his first record deal for the first Album "Peep", as he was 15 years old. Lauri hasn't finish the school and done a apprenticeship, because his life turns around the music. Lauri Ylönen has a relationship with Paula Vesala (lead singer of PMMP). He has a son Julius Kristian Ylönen. Julius was born on 12. April 2008. Lauri Ylönen published 2011 his first solo Album "New World". In 2011 Lauri Ylönen has begun his solo carrier next to The Rasmus. His Soloproject is namedLauri Music and his offical homepage is www.laurimusic.com. You will find all Information about Lauri Music at this page. He has opening a little Onlineshop (shop.laurimusic.com) too. Here you can finde some T-Shirts. Lauri Ylönen has an Tatto "Dynasty" on his right arm. This Tatto is the symbol for his Record Label "Dynsasty Recordings" which he has build together with Pauli Rantasalmi. But now it is a sign of their frindship. On the left Shoulder he has a picture from Björk. His favorite movies are The Crow and Dance in The Dark. Björk is an very important person for Lauri. He likes her music and is a big fan. Lauriget one's inspiration from Björk for some songs. 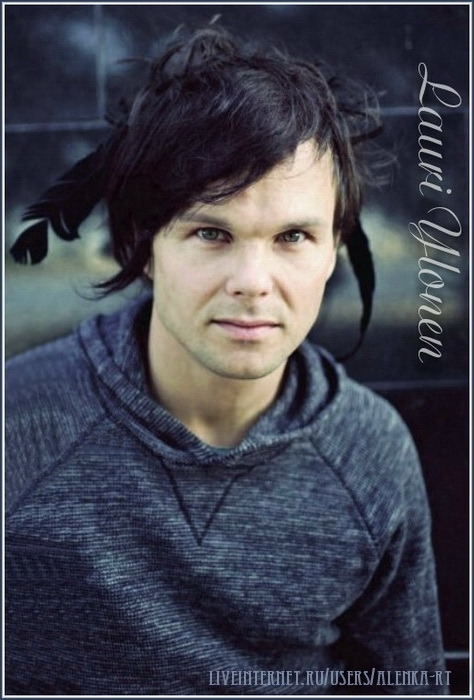 Lauri Ylönen has Crow feathers in his hair. He is called by his friends Lintu. Lintu is the finnish word for bird. The bird is perfect animal for describe his character.